WASHINGTON, DC, May 15, 2014 (ENS) – To protect neighborhoods located near oil refineries, the U.S. Environmental Protection Agency today proposed to update the air pollution standards for refineries – standards that environmental groups proved in court are more than a decade overdue. The EPA’s proposal would, for the first time, require monitoring of air concentrations of benzene around the fence line perimeter of refineries to ensure that emissions are controlled. These results would be available to the public. 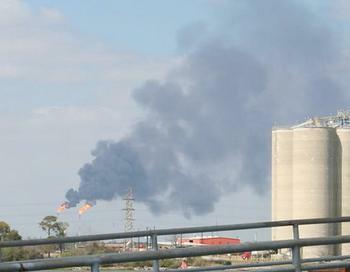 The proposal would also require upgraded emission controls for storage tanks, including controls for smaller tanks; performance requirements for flares to ensure that waste gases are properly destroyed; and emissions standards for delayed coking units, which are currently a significant unregulated source of toxic air emissions at refineries, the agency said. The newly proposed standards come in response to a 2012 lawsuit filed by the public interest law firm Earthjustice and the nonprofit Environmental Integrity Project on behalf of affected community groups in Texas, California and Louisiana. The groups alleged that while the EPA was required under the Clean Air Act to update refinery pollution standards every eight years, the agency had failed to do so. The suit was resolved in a court ordered consent decree filed January 13, 2014 in the U.S. Court of Appeals for the District of Columbia that set the rulemaking schedule. The decree commits the EPA to perform risk and technology reviews for maximum achievable control technology in two categories of refinery processes. The agency agreed to propose final updates to the MACT standards by today’s date, and promulgate them by April 17, 2015. The environmental groups are particularly pleased with the EPA proposal to require monitoring of air concentrations at the fence line of refinery facilities to ensure proposed standards are being met and that neighboring communities are not being exposed to unintended emissions. After the consent decree was signed, EPA conducted a demographic analysis of individuals living near petroleum refineries for different social, demographic and economic groups. The agency found that about half of the people most at risk from refinery emissions are minorities, roughly twice the percentage of minorities in the general population. Adrian Shelley is executive director of one of the plaintiff groups, Air Alliance Houston. He lives and works in the city of Houston, Texas, which has eight major refineries but is the only city in America with no zoning. But Shelly says that while the proposed rule does give communities a tool to seek enforcement when violations occur, more is needed. 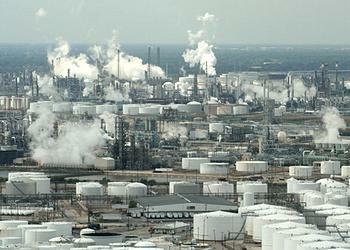 Several environmentalists point out that refineries can benefit by stopping these leaks, thereby stopping product loss. But refinery lobby groups fail to see the new rule in a positive light. “EPA’s refinery rule comes with a high price tag but uncertain environmental benefits while emissions continue to fall under existing regulations,” said the American Petroleum Institute today. “America’s refineries have been reducing emissions for decades and will continue reducing emissions under existing regulations while making the cleanest fuels and helping to improve air quality,” Feldman said. 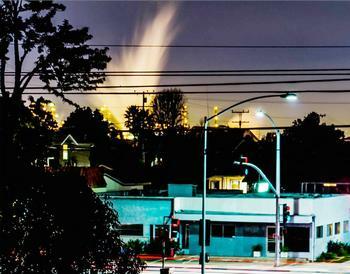 Registering disagreement based on his experiences is Jesse Marquez of Coalition For A Safe Environment in Wilmington, a mixed industrial and residential neighborhood in the South Los Angeles area. 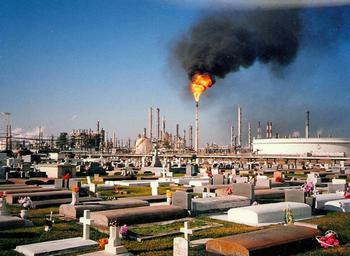 “The coalition prepared a flaring analysis; it increased at every refinery every year,” Marquez told reporters today. “There are recovery techniques that are cost effective and available off the shelf, but it is not mandatory for refineries to use them,” he said. The National Association of Clean Air Agencies supports the EPA’s proposed rule. EPA will take public comments on the proposal for 60 days after it is published in the Federal Register. The agency plans to hold two public hearings, near Houston and Los Angeles, and will finalize the standards in April 2015.